7 Shockingly Beautiful Lake Islands in the U.S.
You don’t have to travel to the Caribbean to vacation on a beautiful island. Amazing islands exist right here in the U.S.—and a handful of them are located on calm lakes, where you can explore shipwrecks without worrying about hurricanes or sharks. Leave your passport at home and explore some of the best stateside island getaways. 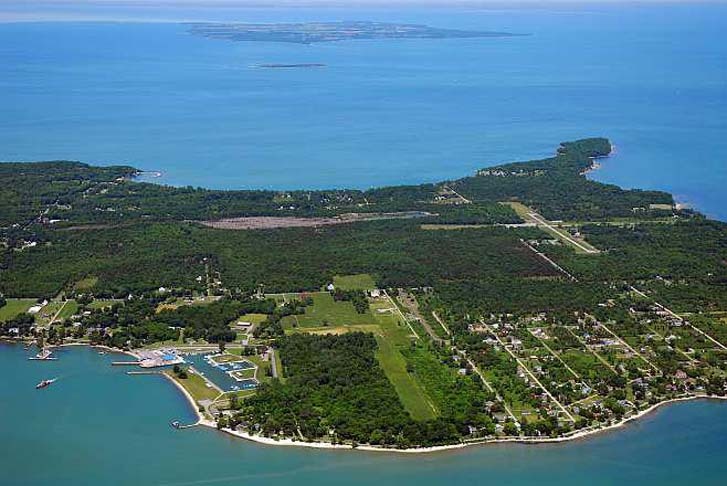 Kelleys Island, just a few miles south of the Canadian border, is the largest U.S. island in Lake Erie. In addition to lakefront usuals (swimming, fishing, bird watching), travelers can explore a namesake microbrewery, a winery serving seven local varieties, glacial groves, and shipwreck dive sites. Don’t leave without trying one of the isle’s signature drinks, the frozen brandy Alexander. The island is a 20-minute ferry ride from Sandusky, Ohio. 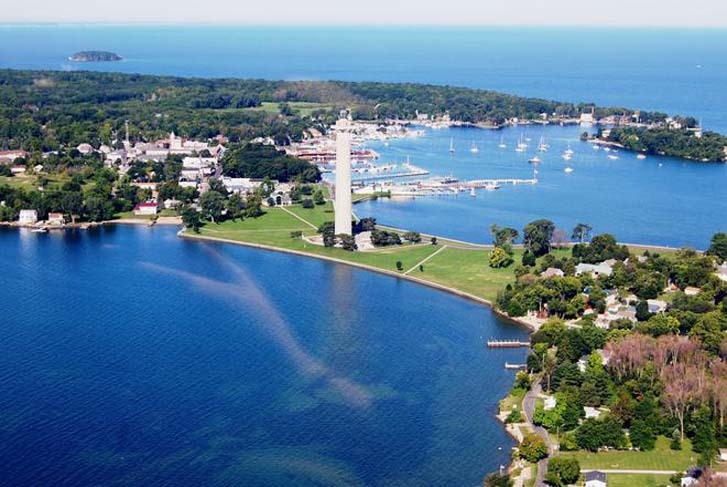 Mackinack Island, arguably one of the most beautiful lake islands in the U.S., maintains a robust tourism infrastructure without losing its old-school charm. Accommodations abound, including the Grand Hotel—a turn-of-the-century resort that claims the longest porch in the U.S. Spend time relaxing on the beach, sampling fudge, and discovering history at the Revolution-era Fort Mackinac. The British moved the fort to the island in 1780, and Americans took it under control in 1796. The one thing you won’t find on Mackinac Island? Motorized vehicles. Travel here is by foot, bike, or horse and buggy. 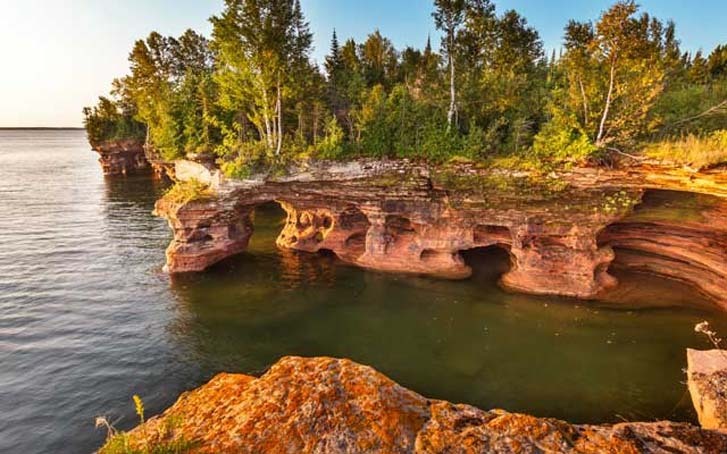 The Apostle Islands National Lakeshore is a 21-island cluster spanning 12 miles in Lake Superior. The dramatic beaches and cliffs form breathtaking scenery for sailing, paddling or hiking. If the conditions are just right in the winter, you can hike through the spectacular ice caves in the Apostle Islands, formed through millions of years of layers of sand cementing into the sandstone. The National Park Service oversees and maintains these islands, accessible via Bayfield, Wisconsin. 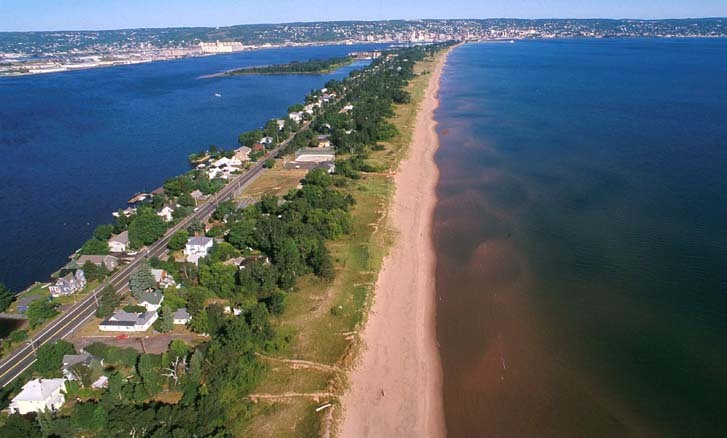 Sandwiched between Lake Superior and Superior Bay, this seven-mile island just off the city of Duluth, Minnesota, is also the world’s longest, freshwater sandbar. In 1852, Surveyor George Stuntz established the isle, building homes and a trading post. Today, the region is a playground for locals and vacationers, with six miles of beaches for swimming and and sand volleyball. Fun fact: In the winter, wet suit-clad surfers even take to the lake’s waves, brewed up by blizzards and fierce winter winds. 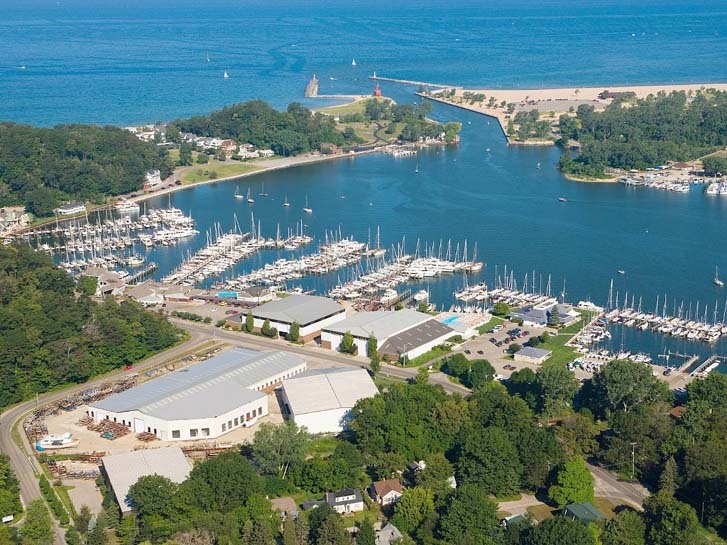 You’d be forgiven for confusing Ohio’s Put-In-Bay on South Bass Island with the Caribbean—it’s rife with aqua-blue waters, sandy beaches, swim-up bars, and kitschy souvenir shops. But this Lake Erie isle claims robust history, too. In the 1813 Battle of Lake Erie, U.S. naval captain Oliver Hazard led the country’s first defeat of a British naval squadron, with most of the action taking place just off the bay. Perry’s Victory and International Peace Memorial, the third tallest monument in the U.S., honors the battle and those who fought. This quaint isle in Sebago Lake maintains some remote charm, despite its convenient location just 25 miles away from Portland, Maine. 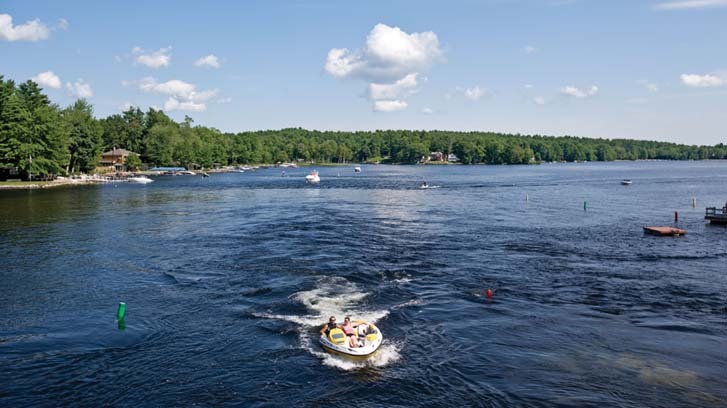 Spend sunny summer days lazing about, golfing, and boating, before unwinding at Frye’s Leap General Store & Cafe, the only restaurant on the island and one of the few accessible by boat on Sebago Lake. The ferry between Raymond Neck, Maine and Frye runs every 15 minutes during peak summer hours. 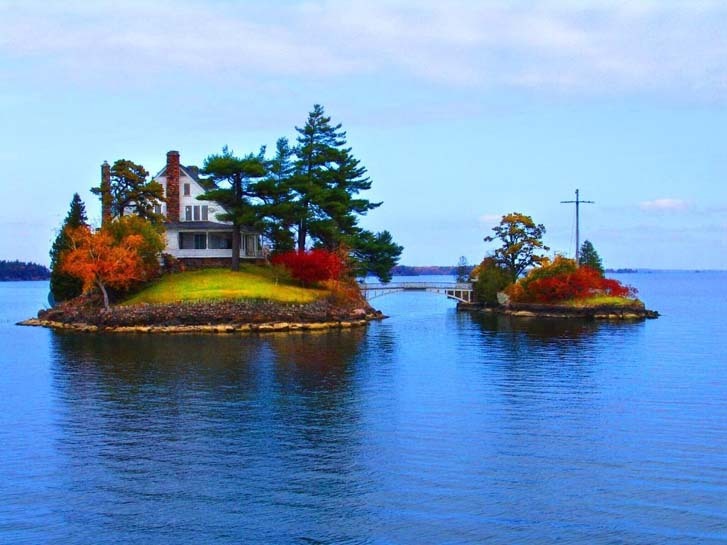 This archipelago bridging New York and Canada actually claims 1,864 islands; the smallest of them, Tom Thumb Island, is nothing but a rock outcrop with one tree. Dedicate time to a scenic cruise between the dots of land, which are strung along Lake Ontario and the St. Lawrence River; spy on the landscape in a helicopter tour; or tour the striking Boldt Castle (pictured). 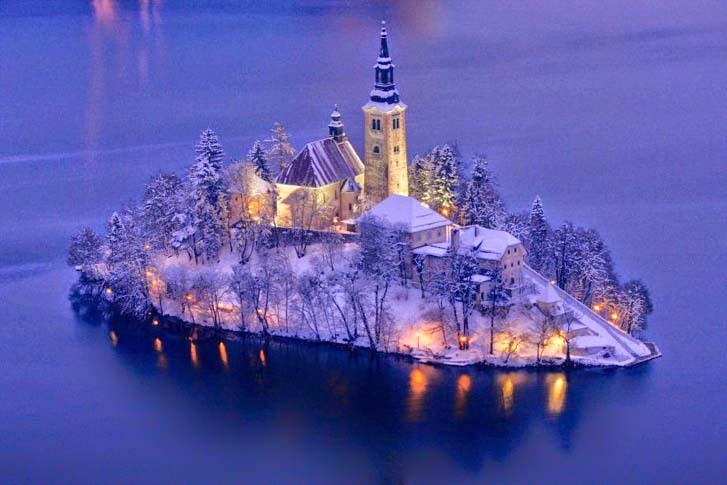 Travel Magazine: 7 Shockingly Beautiful Lake Islands in the U.S.